Junior executive car from Mercedes is now only available in 'clean' diesel form which should be good news for some punters. As part of its mid-life refresh, the Mercedes-Benz C-Class gets new exterior elements such as those for the bumper, lights and grille up front. 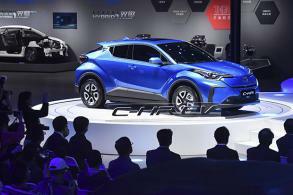 The interior has also been updated with the most notable changes being bigger infotainment screen, semi-digital instrument panel and steering wheel integrating touch-sensitive navigators to operate various functions. There’s also a new diesel engine that was never offered in today’s generation in Thailand. It’s the 2.0-litre single-turbo block, coded OM654, that’s already used in the E220d developing 194hp (the one in the CLS300d has two turbos with a higher 245hp). The C350e plug-in hybrid, the sole choice in the pre-facelift C-Class, has yet to be updated due to new investment in a Thai battery plant by Mercedes-Benz. 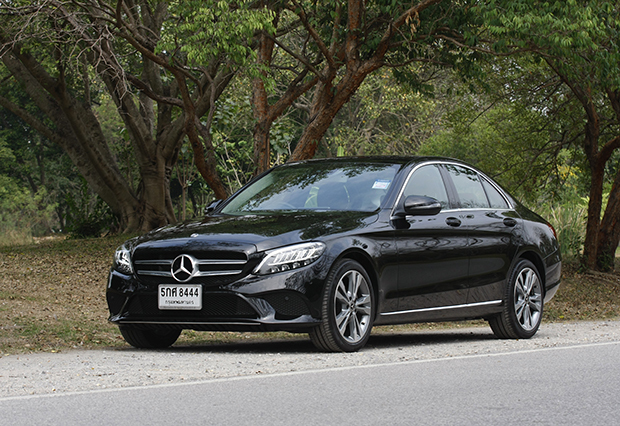 That’s also why the facelifted S560e has yet to hit Thai showrooms to supersede the previous S500e. Like the C220d, the S350d is currently the sole model in the range to choose from. The C220d comes in three trims and the one tested here is the most basic model dubbed Avantgarde and priced at 2.349 million baht, which is 120,000 baht dearer than the aging 320d Iconic from BMW. It’s no other than the engine which majors on three crucial facets for real-world driving: tractable performance and good levels of fuel economy and refinement. The C220d rarely lacks punch, is capable of more than 20kpl under cruising and comes seamlessly into life after the lights turn green when using the automatic stop/start function. The diesel is not only quieter than the one in the 320d but also over the OM651-designated predecessor (that’s still being used in today’s GLC250d). Although the brand’s latest widescreen has yet to appear in the C-Class, things still work sufficiently well in this facelifted model. As for the driving characteristics, the C220d is generally on par with the 320d in delivering a fine balance in-class between handling and ride. It’s quite difficult to see how much has changed on the skin of the C-Class which is why you either need eyes of an eagle or be a genuine fan of Mercedes. And despite being quite effective overall to use, the fascia looks quite dated without that fully digital widescreen setup. The return of the C-Class with diesel should be of good news for buyers who value all-round and hassle-free performance. The C350e works at its best only when you have places to plug in regularly. Can the 120k price difference make the C220d any more desirable than the 320d? 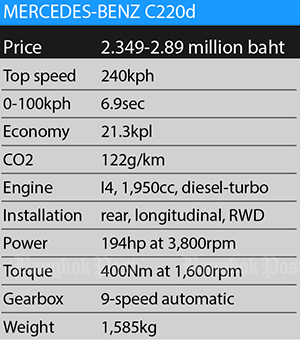 Well, if you’re spending over two million baht for a fine-driving luxury car, we’d say that the engine merits in the C220d is worth the premium. Should you wait for the all-new 320d that’s set to arrive late March? Yes, that Bimmer is hugely impressive, as how we found out during a drive with it in Europe last year. 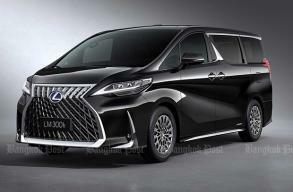 But it will still be months away before Thai-built versions come on stream with prices to match. 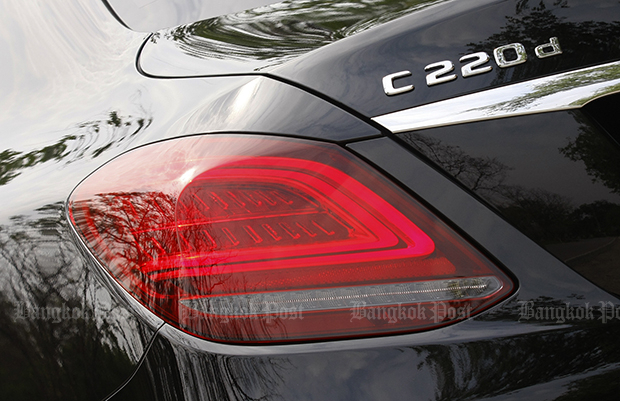 Which is why the C220d, in the meantime, is worthy of attention in the two million baht bracket of premium sedans. 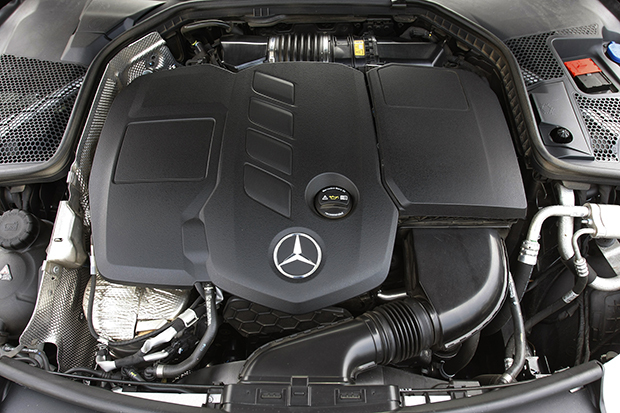 Unlike Audi and BMW, Mercedes-Benz’s diesel engines are all Euro 6 complaint in Thailand since the introduction of the tech-filled E300 Bluetec Hybrid. That explains the additional AdBlue nozzle near the fuel cap which takes urea solution to help cut NOx emissions. 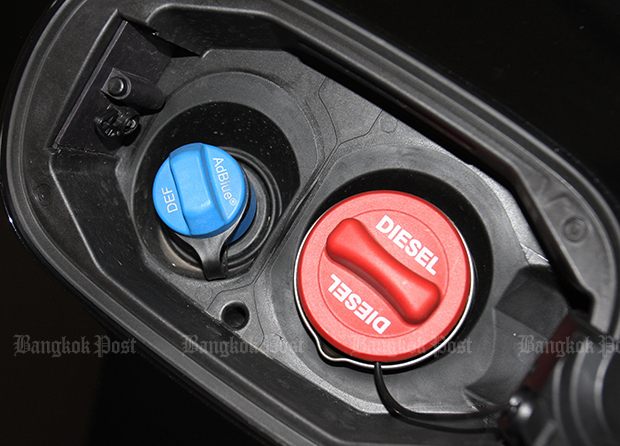 It’s claimed to cost around 6,000 baht to fill, good for 10,000km. Thailand is still on Euro 4 fuel (for both petrol and diesel), while Europe has been using Euro 6 since 2014. Theoretically speaking, feeding Euro 4 fuel into Euro 6 engines can cause potential damage in the long run. However, a spokesperson for Mercedes-Benz countered by saying that all of its current diesel-powered offerings can run safely on Thai fuel. 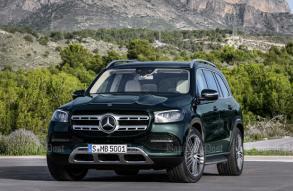 The only modification made to cope with the country’s lagging diesel quality is said to be the fuel-filtering system.